Level the playing field with a system designed to upset more athletic teams on a consistent basis. Tom Jicha presents his interpretation of the two guard front offense, which is based on the offensive system made famous by John Beilein at West Virginia and now at the University of Michigan. This perimeter-based offense is designed to provide scoring opportunities for smaller teams that lack a "true post" player. Coach Jicha introduces his three main sets: motion, shuffle and chin and blends them together to form one of the most difficult to defend offenses in the game today. Jicha dissects the chin set on the dry-erase board guiding you through its precision movement. 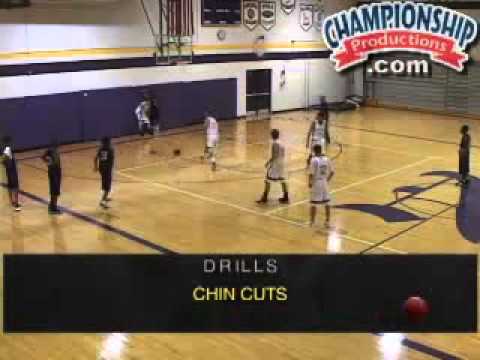 Included are the four ways to get into the chin: the middle pass, the side pass, reversal, and the hand-off. Moving to the court, Jicha demonstrates the tremendous spacing and ball movement options that this offense provides. You will learn the bump cut and pull-through techniques to counter intense defensive pressure. Jicha demonstrates the importance of high dribble outs and the hand-off to create back door cut opportunities. Jicha delivers the primary set he uses on nearly every trip down the floor: the Motion Set. After starting with a quick pass to the wing and a blast cut from the point guard, seven motion options are demonstrated on the court versus defense. The secret to this offense is how smoothly it flows directly into the chin set, frustrating defenders who attempt to guard every v-cut, screen and the lightening quick ball reversal. This unique set provides wing-to-block shuffle cutting action and it also flows directly into the chin set. In addition to step-by-step breakdown of each set, Jicha teaches 20 effective quick hitters that can be utilized with this offense. Each set has quick hitters designed specifically to take advantage of what the defense is giving. You will see five quick hitters for the chin series, five for the motion series and 10 for the shuffle series. Each quick hitter flows back into the offense and each has multiple scoring options. Jicha closes with 10 drills he uses to teach the offensive action and to demonstrate how to get game shots from the action. Coach Jicha has effectively dissected this complex offensive system so that it can be totally effective at any level of play. 250 minutes (2 DVDs). 2010. Always looking for something different as a continuous but effective offense. I love the fact that there are 3 simple sets and all of the different option and counters are displayed and explained. Great video, one of the best I've seen that explains in great length, and clearly, the 2 guard front offense. Quality video!! Very lengthy, but detailed! Shows all information on whiteboard, as well as on the court with players (skeleton), as well as on the court with players and defense. Very well done!! 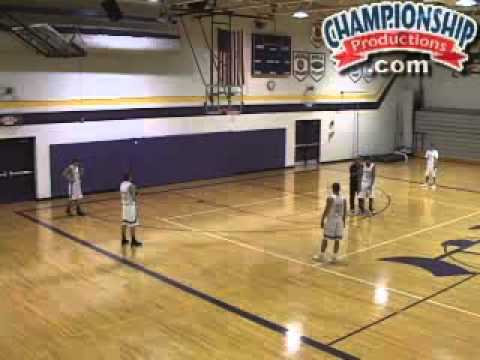 Continuity offense, quick hitters, as well as drills! Three offensive sets, multiple quick hitters, & break-down drills as well. This 2-disc set is worth it. Everything you would need to run this style of offense is here, main sets, quick hitters, and drills to install offense. Very good offense if you have some shooters and are undersized. Excellent resource to have! Ran this offense with my club team this summer very effective. Easy for the players to pick up on can't wait to run it this HS season. Excellent resource!! How to Run the Michigan Two Guard Front Offense 5.00 out of 5 based on 6 ratings. 6 user reviews.